This post goes to one of my friends, the only one I know who uses Linux. He’s been using it for years. I’m going to venture and say for something close to 12 years so far. With Linux, I feel so outdated with technology; even though I’ve been an avid early Mac user from way back in the stone age day. 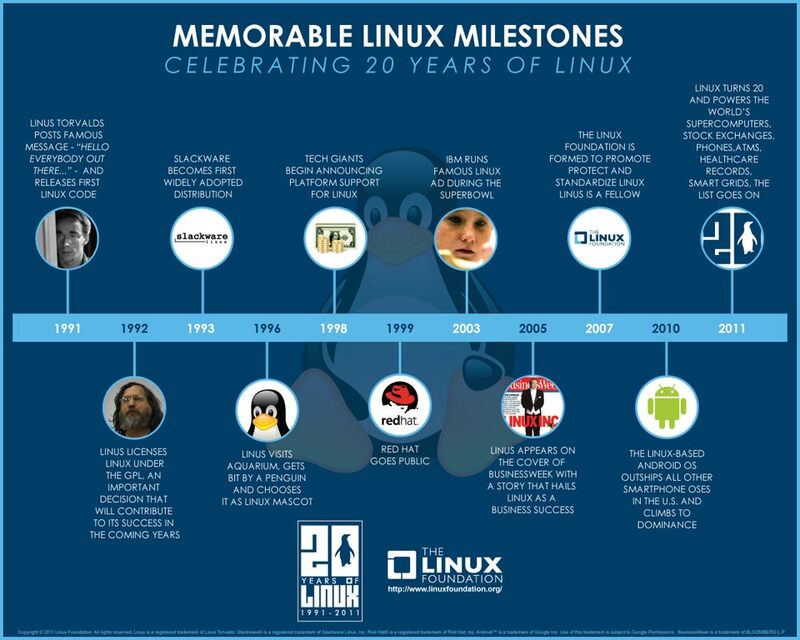 Anyways, congratulations Linux and baby Android and may you have a Happy 20th. More info can be found over at the Linux Foundation.